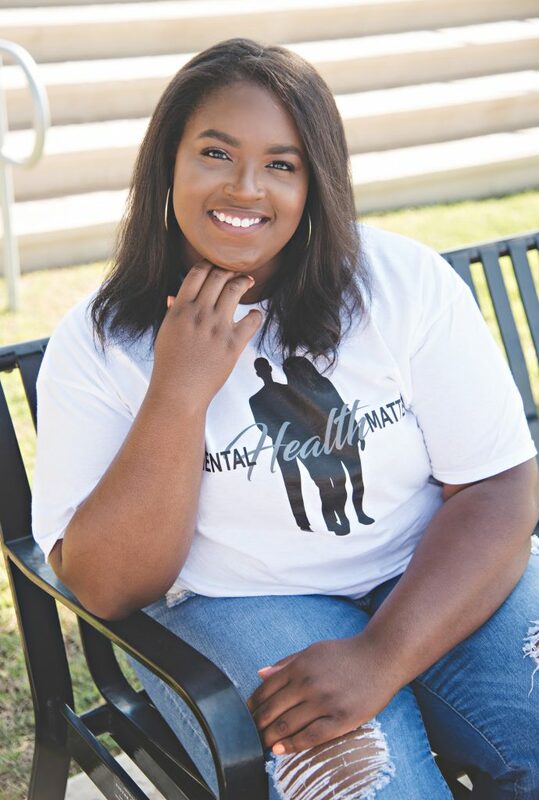 Article written by Khia Glover- a therapist and an advocate for the mental health of children and families. Khia strives to bring awareness to mental health through her blog, notesbykhia.com and community education. While mental health is finding its way into everyday discussions I noticed that there seems to be a specific population that is missing from these conversations. Children and Adolescents. We know about attention deficit hyperactivity disorder (ADHD). Honestly, I believe ADHD is overused but that is a conversation for another day. But, what about children fighting their way through Oppositional Defiant Disorder, Mood Dysregulation Disorder, anxiety, and so many other things? When we hear that a child has ODD our first thought is that this child is bad and is uncontrollable. What if we changed our thinking? What could that do for the child? When working with children with mental health diagnoses, whether as a parent, teacher, counselor, etc., the child should be placed before the diagnosis at all times. Think back to being a child and how difficult it was to manage life. Peer pressure, constantly changing friendships, parents, and hormones are a lot to deal with without having a mental health diagnosis. If you think about the fact that, just as with adults, children did not choose this diagnosis and really have little to no control over how it impacts them it may help with growing compassion as opposed to frustration. I was in a meeting the other day and someone said, “Children want to do good”. That really made me think. How frustrating would it be as a child who barely understands the main points of their world, doing the best that they can. Yet seem to only get punished by those who are in place to help them? and I know that I keep speaking about ODD, it’s a diagnosis that people seem to be afraid to tackle. I actually encountered this with one of my supervisors when I was outreach coordinator for a housing facility. I was in charge of interviewing potential residents and making decisions on whether they were appropriate for the program. However, my supervisor ultimately had the final say but I was in a position to advocate for clients. One particular potential resident had been diagnosed with ODD at FIFTEEN. Now being an adult my supervisor wanted to deny him, all because of his diagnosis. Without knowing what his situation was at that time, why the diagnosis was given she immediately wanted to shoot him down. That is how much weight these diagnoses carry when we don’t use person-centered thinking. Now, he did start off kind of rough in the beginning but I made sure to do the absolute best I could to just show him that I cared and LISTEN which it seemed he had never had before. Eventually, I was able to break that wall down and he did much better. The same can go for any of the other diagnoses. Mood dysregulation can be tough to manage but so can anxiety. I, myself, struggle with anxiety and it gets really scary sometimes not being able to breathe or to think straight and I am an adult who teaches others how to manage their anxiety. So, how much more scary can it be for a child or adolescent that has no clue why they are feeling that way? My hope is that we will start looking more at children’s diagnoses and childhood trauma while they are still children. Not that I want more children to be diagnosed but I want them to be diagnosed correctly. I want them to be understood as a person first. Children are worth the conversation even though it’s tough to think about a child having these chemical imbalances in their brains. We have organizations and fundraisers for children with cancer, which is fantastic, but I do not want children’s mental wellness to be forgotten. Children not having their own voice, or better yet not having those voices heard, is why I became a therapist. So, I will take absolutely every opportunity I can to advocate for them to be heard and understood. I have seen a lot more children at younger and younger ages talking about suicide. I have even had to discuss suicidal ideations with children as young as six years old. Now, whether or not they truly understand what they are saying it’s my job to assess but also to take it seriously. If we can re-focus our mindset now we may be able to save some lives before it is too late. This entry was posted in #LiMental, Be active, Connect, Keep learning, Le cheile, mental health, Take notice and tagged Be active, be well, child mental health, community, Connect, Get Involved, Keep learning, Mental health education, mindful, mindfulness, Positive mental, positive mindset, Take notice by Shauna Lillis. Bookmark the permalink. Next → Next post: Why join our board?